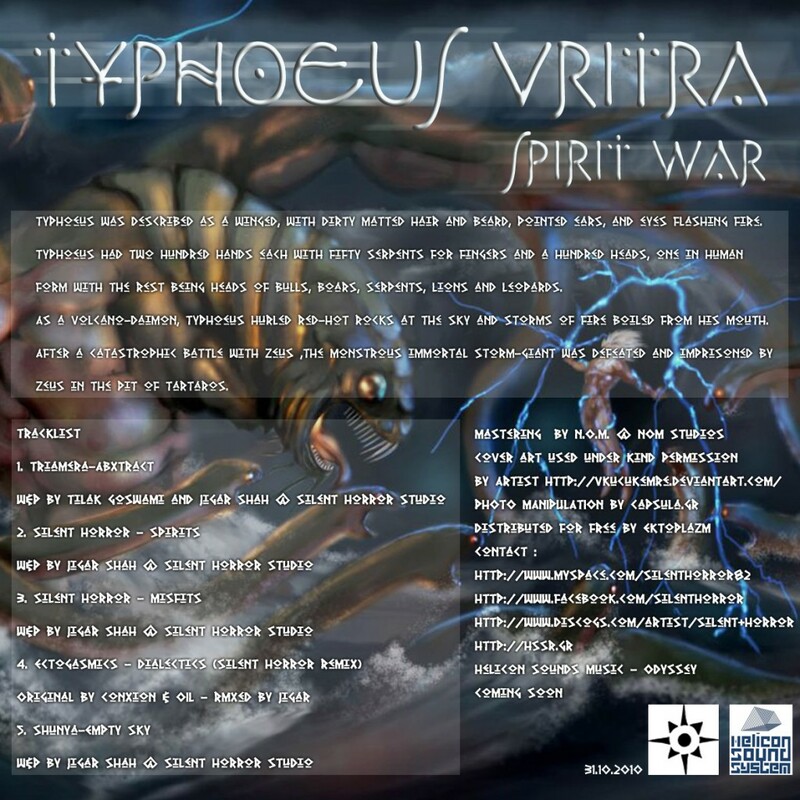 Helicon Sound System Records returns with Typhoeus Vritra: Spirit War, a compilation of songs involving Silent Horror (Jigah Shah), an experienced dark psychedelic trance artist from India. This release tells the tale of Typhoeus, described as a winged daemon with dirty, matted hair, pointed ears, and eyes flashing fire. Typhoeus had two hundred hands, each with fifty serpents for fingers, and a hundred heads, one in human form with others being bulls, boars, serpents, lions, and leopards. He hurled red-hot rocks at the sky and storms of flame boiled from his mouth. 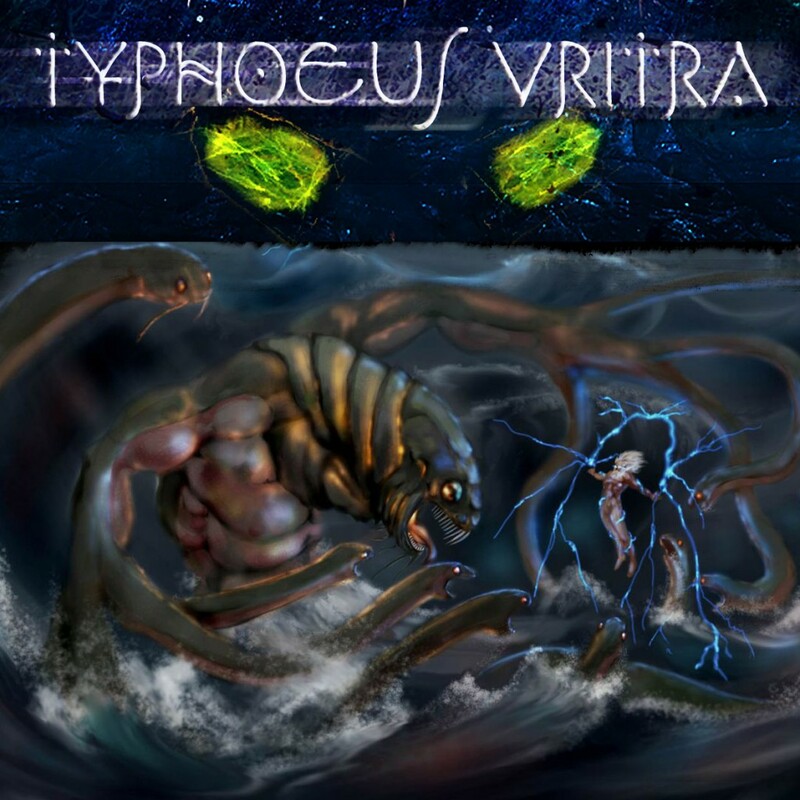 After a catastrophic battle with Zeus, the monstrous immortal storm giant was defeated and imprisoned in the pit of Tartaros. Mastering by N.O.M. @ NOM Studios with artwork by Volkan.